Telstra TV will offer access to the big three streaming video-on-demand (SVOD) services as Telstra looks to cement its place in the competitive market. The telco will rebrand and offer Roku streaming devices following its soft launch in September. Roku streaming devices have already garnered some popularity in the the US, Canada and the UK, said Joe Pollard, Telstra’s general managing director of media and marketing. “Rather than restrict our customers’ choices, we want to host all the popular streaming video services on our platforms and make it easy for them to get all the content they want in the one place,” he said in a statement. Telstra already has a stake in the SVOD market with Presto, which is a 50-50 venture between it and News Corp.
Presto will be offered alongside local rival Stan, a 50-50 venture between Nine Entertainment Co and Fairfax, and recent market entrant Netflix, under the Telstra TV service. Joining the SVOD offerings will be a selection of catch up TV options and new release movies from BigPond Movies. 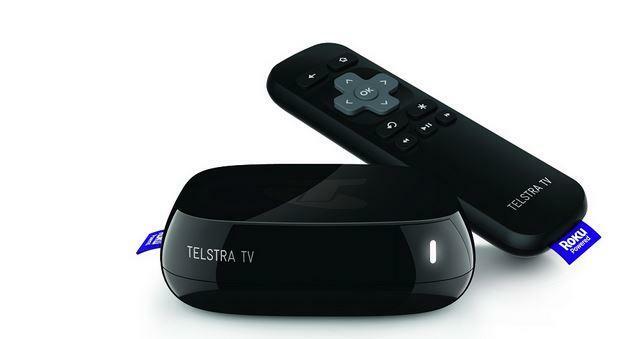 Telstra TV will have its soft launch on 15 September and will be offered as part of a bundle on 29 September. It will join Telstra’s existing services, which include TBox and Foxtel, with pricing details to be made available closer to the date of launch. Specs for the Telstra TV box follow as per Telstra Exchange.